In 2007, a nearly ten-pound chunk of cast iron fell from the Dome, which prompted work crews to install netting in order to catch falling debris. The economic crisis in 2010 seriously hampered the ability of the State Legislature to fund the needed repairs, which were estimated at between $11 and $30 million. 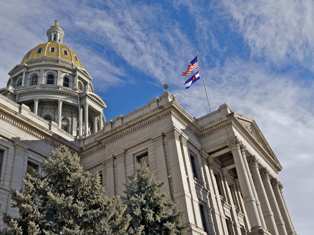 In early 2009, the Colorado State Historical Fund approved a $3 million grant, but the Legislature was unable to reach an agreement to contribute $8 million in matching funds. As a result, the Dome’s condition continued to deteriorate and the architectural inspection team concluded, “the entire Dome will require extensive work to repair current damage and preserve the feature for future generations. 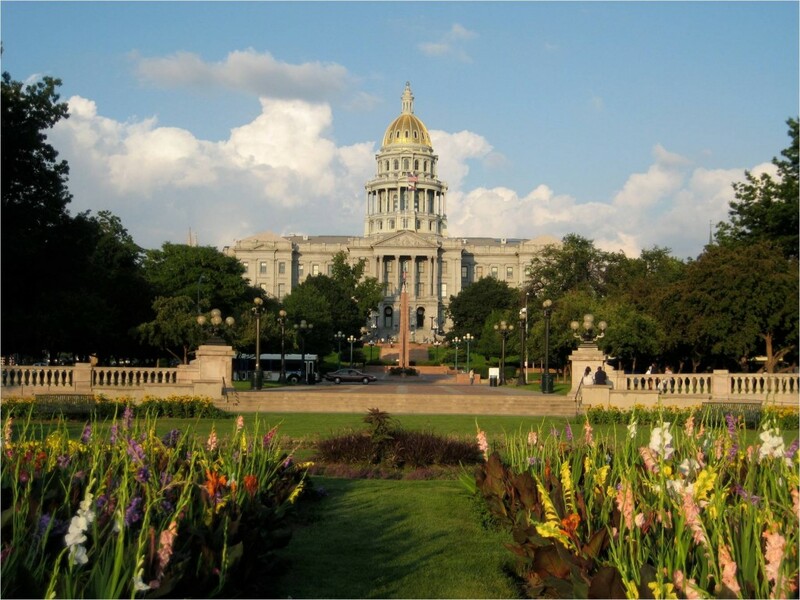 This work is time sensitive because the rate of decay is increasing with the passing of each winter.” Working in close cooperation with the Capitol Building Advisory Committee, Colorado Preservation, Inc. agreed to lead an advocacy and outreach campaign to raise funds for, and awareness about, the Dome. The campaign included working with the public, legislators, Colorado corporations and other preservation organizations on this important and desperately needed undertaking. Work on the cast iron structure of the Capitol Dome began in 2011 and the project will be completed in 2014. The restoration was made possible by funding from the State Historical Fund, general fund, donations from businesses and citizens of Colorado who participated in the “Share in the Care Colorado” campaign lead by Colorado Preservation, Inc.
Once completed, the project will have repaired deteriorated portions of the cast iron dome enclosure; replaced the copper above the cast iron; gilded the new copper dome with gold; restored the windows; restored the interior balcony area. The dome was re-guilded with gold leaf donated by AngloGold Ashanti/Cripple Creek & Victor Gold Mining Company, mined from the Teller County mine in Cripple Creek, CO and prepared in Florence, Italy.